BOSTON--(BUSINESS WIRE)--Optimus Ride, a leading self-driving vehicle technology company, today announced the appointment of Renee Kennedy, formerly Amazon’s Senior Manager of Talent Acquisition, as its Head of Talent Acquisition. With more than 20 years of team-building experience, Kennedy is well suited to scale Optimus Ride’s team and bring key engineering talent onboard as the company deploys its self-driving vehicle systems at new sites across the country. An accomplished leader and successful talent acquisition manager, Kennedy has extensive experience scaling critical departments of sophisticated technology businesses. During her time at Amazon, Kennedy was instrumental in recruiting individuals to grow Alexa’s AI organization and led a centralized team for science hiring across all Alexa verticals. Kennedy effectively recruited high-performing engineers, research scientists, and more to scale a team that created the best possible experiences for its customers. Optimus Ride recently announced a partnership with Brookfield Properties, the largest real estate developer in the world, to deploy its self-driving vehicles at Halley Rise – a new $1.4 billion mixed-use development that will transform a 36-acre office park in Reston, Virginia into 3.5 million square feet of new housing, dynamic local retail, modern offices, public green spaces, and year-round cultural activations. The self-driving vehicle technology company will be announcing additional deployments later this month. Click here for media assets. Optimus Ride is a leading self-driving vehicle technology company on a mission to transform mobility. The company develops self-driving vehicle software, hardware, and system integration for mobility on demand systems. Optimus Ride’s fully autonomous vehicles are ideal for industrial and office parks, military and academic campuses, smart cities, ports, airports, mixed-use private developments and other geofenced areas. With roots at MIT, Optimus Ride’s team of outstanding industry experts work closely with the company’s clients to design networks and systems specifically for each environment, ensuring end-users reap all of the benefits this technology has to offer. To learn more about how Optimus Ride is bringing the promise and benefits of autonomous vehicles to the real world, visit www.optimusride.com. 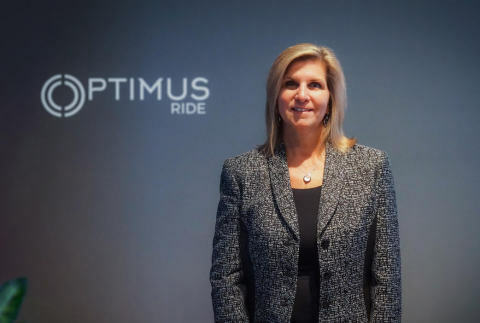 Optimus Ride, a leading self-driving vehicle technology company, today announced the appointment of Renee Kennedy as Head of Talent Acquisition.